High PWM frequency output for flicker free RGB lighting. 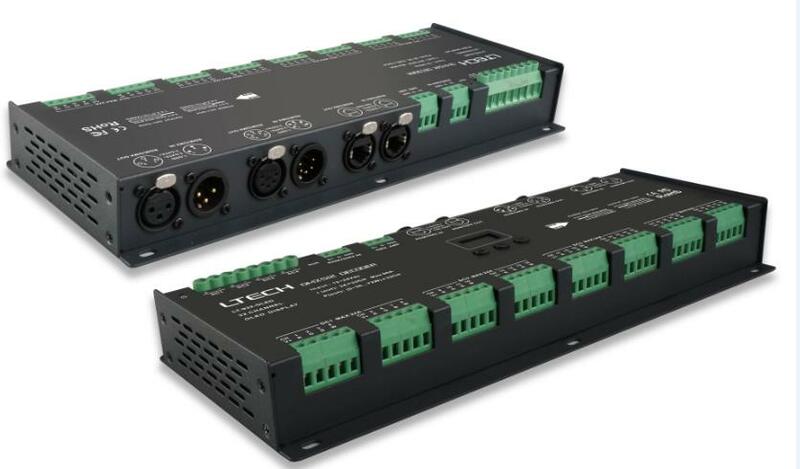 Typically located in the control rack the SLS 8 Way DMX-PWM Driver for driving the DMX signal from the amBX or other control device. With a 5 year warranty for peace of mind. Running either 12v or 24v RGB Flex then the perfect eight point compass point set up of amBX can be achieved. The driver can drive alternative fixtures and can receive other DMX signals. The fixture will connect via the Phoenix connectors, DMX signal connects via RJ45 in & out or 3 pin DMX with DMX loop the same. The product requires the correct power supply for the amount of light it is driving. 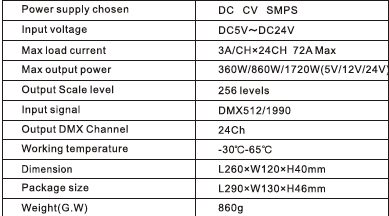 High PWM frequency output for flicker free RGBW lighting. Running either 12v or 24v four channel RGBW Flex then the perfect eight point compass point set up of amBX can be achieved.